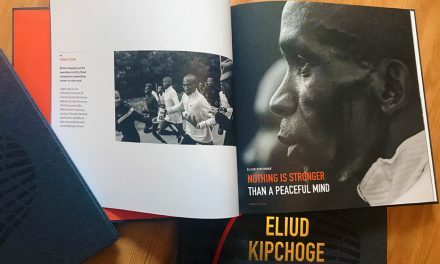 Eliud Kipchoge and Gladys Cherono ran the quickest marathon times so far this year to win the BMW Berlin Marathon in 2:04:00 and 2:19:25 respectively. 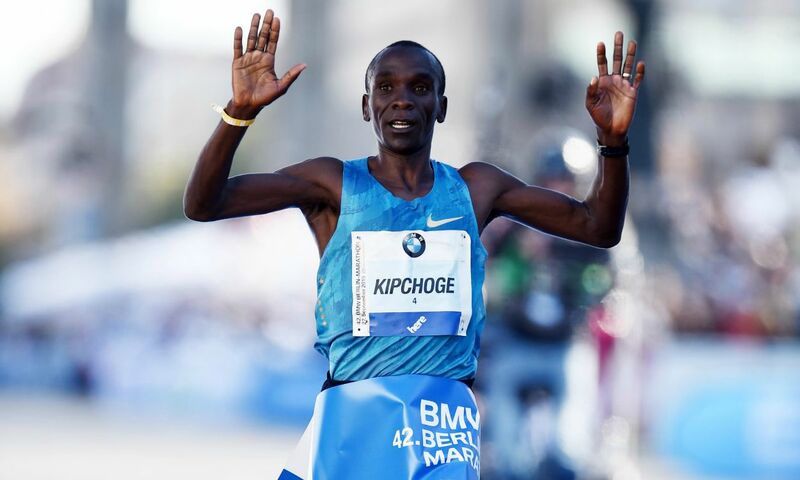 With the men’s world record having been broken at this event in the past two editions, Kipchoge had spoken about the possibility of a third successive record-breaking run on the streets of the German capital. 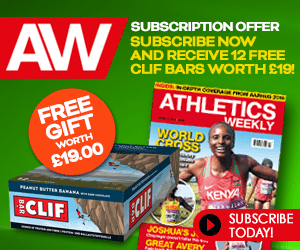 Although he was eventually more than a minute off Dennis Kimetto’s 2:02:57 run in 2014, the 2015 Virgin Money London Marathon winner overcame problems with his shoes to run a world-leading personal best and beat his compatriot Eliud Kiptanui, who ran a 2:05:21 PB, and Ethiopia’s Feyisa Lilesa with 2:06:57. The women’s race came down to an expected battle between Cherono and Ethiopia’s two-time Berlin Marathon winner Aberu Kebede. But surging ahead in the final kimometres, the Kenyan built up a clear lead and went on to win by more than a minute, breaking 2:20 for the first time to move to seventh on the world all-time list. 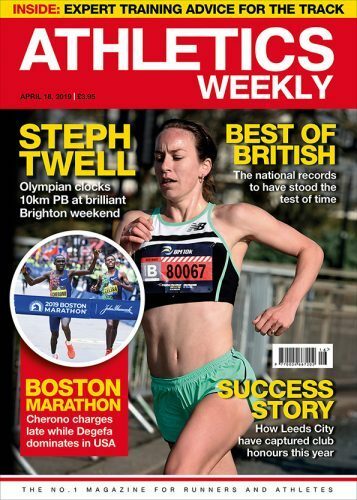 Three British athletes bettered the Olympic qualifying standard for Rio – Scott Overall securing his second time under 2:14 and both Sonia Samuels and Alyson Dixon running big PBs well inside 2:31. Previously 10 world records had been set on Berlin’s course and Kipchoge had seemed the most likely to set the 11th. 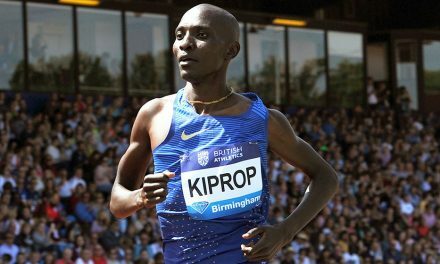 The 2003 world 5000m champion had run the previous world lead of 2:04:42 when winning in London and he had only been beaten once in his marathon career – in Berlin in 2013 when he ran a 2:04:05 PB behind Wilson Kipsang’s then world record. 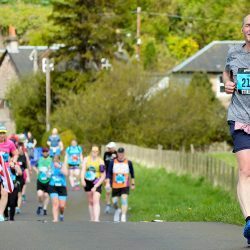 He started off by forming part of a leading group of six which was established early on, running with Emmanuel Mutai, Geoffrey Mutai, Eliud Kiptanui, Feyisa Lilesa and Tamirat Tola behind the three pacemakers. Just off world record pace at 5km but quicker than Kimetto ran for that split last year, the group went on to pass 10km in 29:19 – five seconds quicker than Kimetto’s time en route to his world record but three seconds slower than Kipsang’s split of 29:16 from 2013. 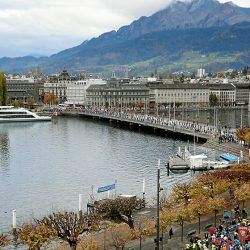 The half-marathon target had been 61:30 but the leading group went through the 13.1 mile mark in 61:53 for 2:03:46 pace and it was clear that Kipchoge was having problems with his footwear, as the insoles could be seen flapping out of the shoes. Geoffrey Mutai was dropped at around 30km, with Kipchoge, Emmanuel Mutai, Lilesa and Kiptanui passing that point in 1:28:10 before Kipchoge began to make his winning move. Despite the issues with his shoes, Kipchoge covered 30km to 35km in 14:23 to build a 24-second lead ahead of Kiptanui, with Lilesa a couple of seconds behind and Emmanuel Mutai half a minute off his leading training partner. From there Kipchoge couldn’t be caught and although his pace slowed, he went through 40km in 1:57:29 with a gap of more than a minute ahead of Kiptanui and then cruised to victory to secure his fifth marathon win out of the six he has run since his debut in Chicago in 2013. Finishing fourth was Emmanuel Mutai in 2:07:46 as his namesake Geoffrey Mutai followed him over the line in 2:09:29. Reid Coolsaet wasn’t far off the Canadian record with his time of 2:10:28 in sixth. 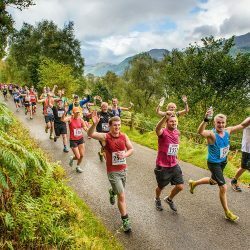 Overall was the top Briton as he clocked 2:11:24 for 10th to better the qualifying standard for next year’s Rio Olympics, while Lee Merrien was the second British athlete, running 2:15:30 for 26th in what was his first marathon since 2012. Over in the women’s race and Cherono had been favourite, having won her only previous marathon in Dubai in 2:20:03 earlier this year. 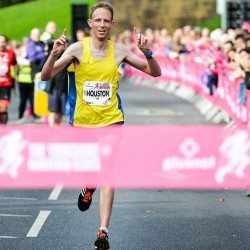 The world half-marathon champion, who finished second in the 2013 World Championships 10,000m, formed part of a leading group of four early on and went through 5km in 16:48 along with the Ethiopian trio of Kebede, Tadelech Bekele and Meseret Hailu. The pace picked up slightly and 10km was passed in 33:28 before Cherono and Kebede broke away, running eight seconds ahead of Bekele and Hailu at half way, a point which the leaders went through in 70:15. 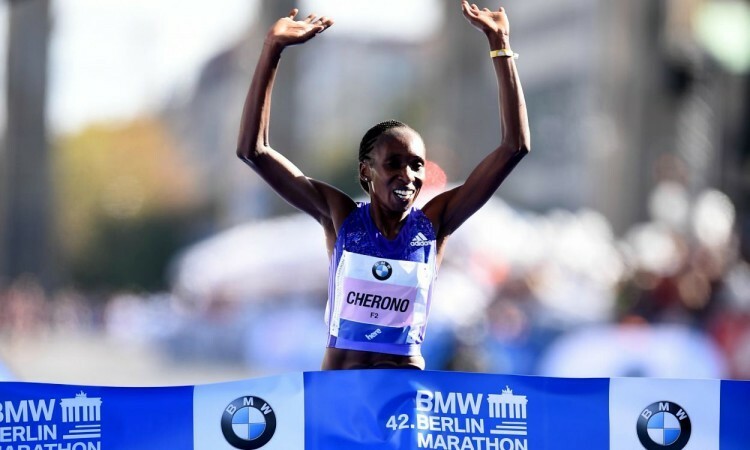 Cherono began her winning surge and remained on sub-2:20 pace, going through 40km in 2:12:28, 48 seconds ahead of Kebede. She sped up slightly and enjoyed a clear victory ahead of Kebede with 2:20:48 and Hailu with 2:24:33. Bekele clocked 2:25:01 for fourth, one place ahead of Andrea Deelstra of Netherlands with 2:26:46. Both Samuels and Dixon had been looking for Olympic qualifying times and not only did they better the mark of 2:31, they both smashed their PBs with respective times of 2:28:04 for ninth and 2:29:30 for 11th. 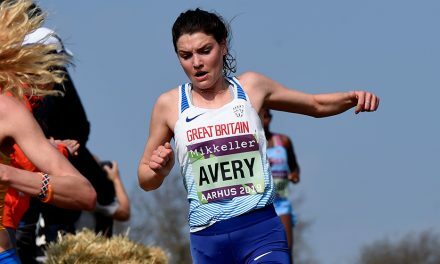 Taking to AW ahead of the race, Dixon had explained how she was targeting a sub-2:30 time and credited Paula Radcliffe with helping her get into her current great shape. Another British athlete to clock a PB was six-time Paralympic gold medallist David Weir who secured victory in the elite wheelchair race in 1:27:36 to better his previous best of 1:28:17 set in 2013. 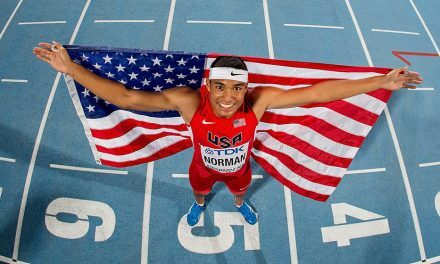 He will now look for further success at the IPC World Championships in Doha next month where he will contest the 1500m and 5000m. Weir’s fellow Briton Simon Lawson was fifth in 1:33:50. Russia’s Natalia Kocherova won the women’s race in 1:50:36.